FANBOY PLANET.com . : mc-captainactionreturns :. Innocently nestled in the pages of this month's Diamond Previews is the news we've been waiting for -- that Captain Action has returned. We talked about it on the podcast as more than rumor, but this gives us a shipping date. Previews claims that if you order from them, the product should reach stores in October 2011 -- that's a little later than the rumored July release in time for Comic-Con, but if the quality matches what the photos look like it will be, it's worth the wait. First, this figure has incredible detail. 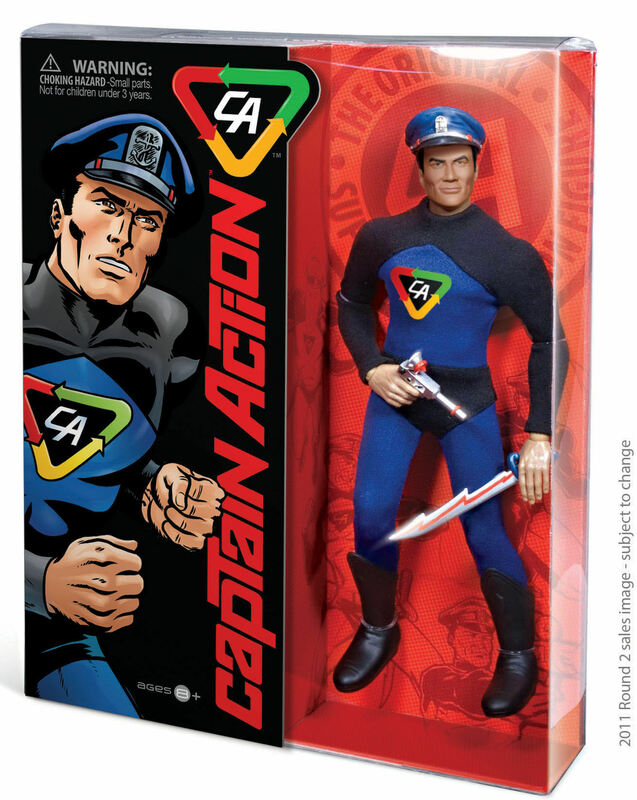 Cloth costume, weapons and unlike the Playing Mantis revival of a decade or so ago, Captain Action Enterprises has taken advantage of updated technology to make the Captain's face match the Murphy Anderson artwork used for the concept. This Captain is a little leaner, a little more rugged and though the face still looks kind, he also looks like he's ready for action. So the 11 1/2" figure, originally created by G.I. Joe designer Stan Weston, returns in all its glory, even a little cooler than before. But that's not all. Because what made Captain Action unique to kids in the '60s was that he could become other superheroes -- a concept reflected as best and non-licensed as could be in the current Moonstone comic book series. , Kato, Lone Ranger and Tonto. But CA Enterprises entered into negotiations to do what was done in the '60s -- MARVEL. Take a look below to see the first two uniforms/disguises/identities -- Captain America and Spider-Man. Look again to notice the incredible detail of doing what they couldn't quite accomplish in the '60s. Steve Rogers looks like a Jack Kirby drawing, and Peter Parker looks like John Romita sculpted him. 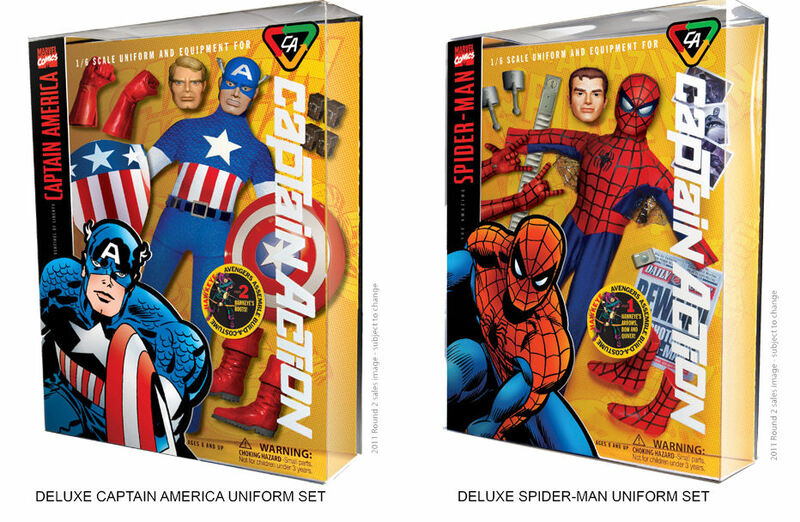 Not only that, but taking a page from 21st century action figure marketing, each uniform comes with part of another uniform. Get Cap, Spidey and in a few months after that Iron Man and Thor -- and then you'll have a complete Hawkeye. Diamond has the figure listed at $44.95 and the costumes listed at $34.95, and I can't confirm a cheaper price at Toys R Us. So for the moment, check it out through Diamond!